Korateo? What is it? What does it mean? Simply put, it is just a name. 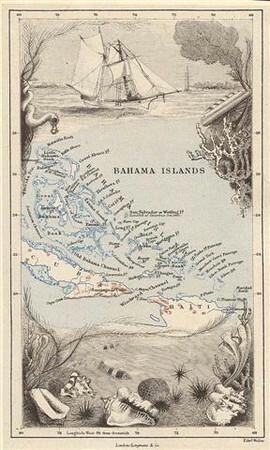 Korateo is an archaic name for the island of Great Exuma in the Bahamas. It is also where I call home. "Korateo" is actually the toponym for Exuma, a name given to the island over 900 years ago, after the Lucayan Indians first settled these islands, giving them names like "Yuma" (Long Island), and "Nema" (Nassau). These original settlers perhaps used these names, when describing their surrounding world of crystal waters, filled with countless islands and cays. Most of these names describe the geographical features of the island. Many, or most of these names, were commonly used on early European navigational charts, which have since been long outdated. Today, except for "Bimini" all of these names are forgotten. Yet they remind us of a time, before mankind populated our Earth, when the natural world was untouched. Though that natural world is diminishing, it's "name" still remains, "Korateo", a name that alludes to a time when once these pristine islands where undisturbed. This notion and appreciation is what I hope comes shining through in my photography. Having been raised in such exceptional beauty Korateo, to me, is not just a name, it is an awareness or a conception of what these beautiful islands and our world, once were, or should be.